A spacious and well presented studio flat, forming the lower ground floor of this substantial period building and occupying a prime central location, close to all amenities and Hove mainline station. This is a lovely flat and makes an excellent first time purchase or possible investment. The entire space is flooded with light as the large studio room enjoys large bay sash windows, overlooking the front and a sunny south aspect. The kitchen is fitted with modern contemporary style units and provides good work surface space. 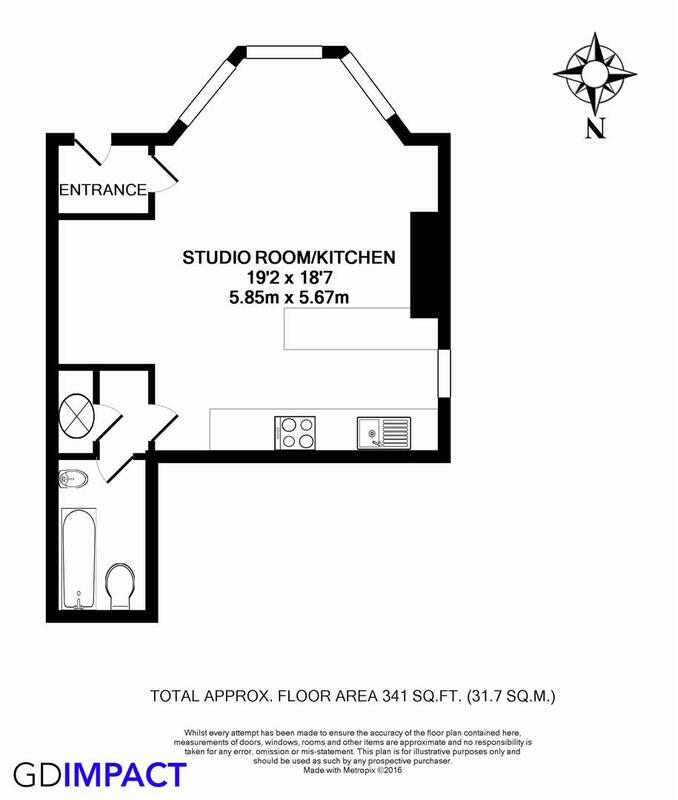 In addition, there is a sleeping area which within the studio room and a white bathroom suite. Located in an excellent central location, convenient for all Hove has to offer, this really is a must view property.